The holidays are the time of the year where we come together and celebrate light. The light within us, the light we are gifted from others, where are enLIGHTened, light is all around us. 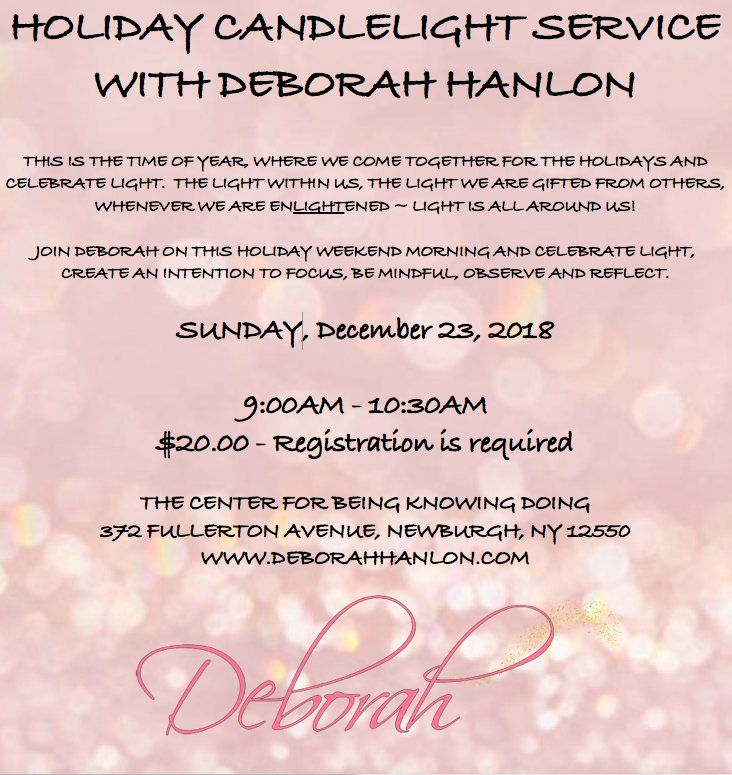 Join Deborah on this Holiday weekend morning and celebrate light, create an intention to focus, be mindful, observe and reflect. $20.00 for this service and pre-registration is required.